HP is on a roll and spree of launching various hybrids and all-in-ones, all to get his hold back on the market what once seemed to be slipping out of their control. 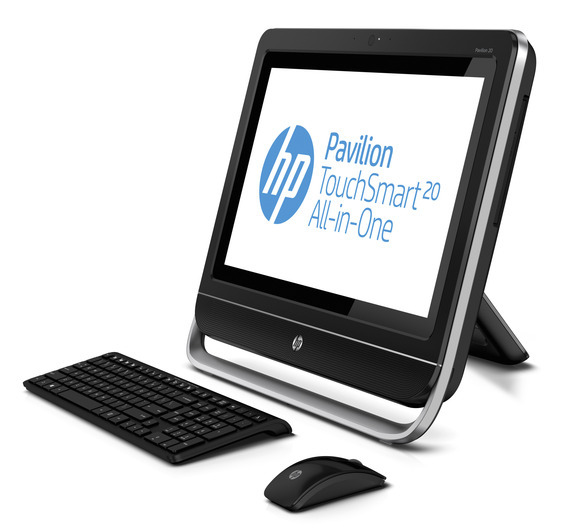 Pursuing the plan, HP introduces HP Envy 20, an all-in-one desktop which you can also think of a large screen Tablet PC, as an intuitive touch screen is enabled on this and responses to all your feather touches. The screen is as large as 20 inches! . You can imagine the out of the world Tablet PC experience the Envy 20 can offer with this large screen. There are a number of things which make this assemble a quality product wiz. Intel Core i3 processor, Windows 8 OS, an optional solid state drive, optional Express Cache to make the boot time almost negligible, edge-to-edge screen display, clutter-less wire arrangement (just a single wire), HP Beats Audio, unbelievable RAM, a world of space and what not. Book it here from the HP’s official space. Know more about much more Tablets and All-in-ones ready to go. Just click here and we will take you to the upcoming Tablet PCs space.